Swinton have signed England Academy half-back Harry Smith from Wigan on an initial one-month loan. 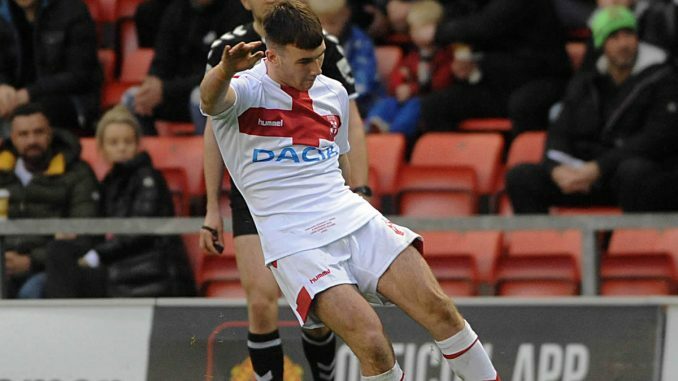 Smith, 19, featured in the memorable series win over Australian Schoolboys in the winter and was part of Wigan’s 2017 Academy Grand Final winning side. Lions coach Stuart Littler said: “I’m absolutely delighted. Harry is a player of exceptional talent. Smith, who hails from Widnes and came through the ranks at community club Halton Farnworth Hornets, goes in to contention for this weekend’s Championship clash with Bradford.